Finding time to work on home improvement projects is only half the challenge. As a DIYer, you will have to spend extra time researching and planning your project. This is because the reality is a little more different than the thought process that goes into your head. As you start practically implementing all the steps you learned in blogs and videos about building your own cabinet, you will realize that there is more to the project than you initially let on. You might still be able to complete your DIY project by doing things right the first time. But the first step is to step is to learn from other people’s mistakes and how to avoid them. The general public perception about permits is that their singular purpose is to complicate a project more so than it already is. Yet permits play an important role to ensure that you don’t hurt yourself while pursuing your hobby. Besides, for more complex undertakings, you will need permits otherwise any accidents or mishaps will not be covered by your insurance agency. All it takes is a few minutes to verify with the building department in the city hall if you’re good to go with your DIY project. The biggest impediment to completing the job is not having access to the right materials and tools. Why are professional workers able to achieve marvelous results? Because they have access to high-quality tools. They will invest in such tools because it’s part of their job. 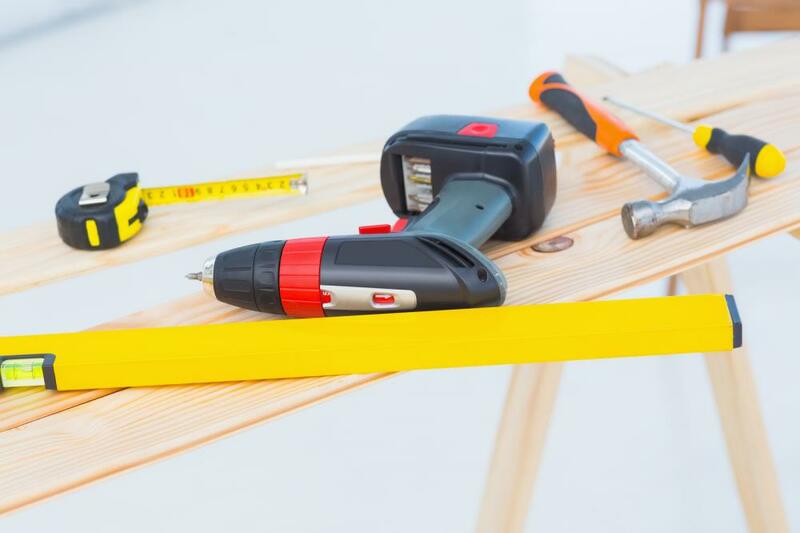 For the average homeowner who may have a fleeting passion for such hobbies, they can’t expect to get around the hefty investment requirements needed to procure high-quality tools. But then again, you can always rent out your favorite tools at affordable price packages. Now that you have purchased your tools and materials, your first order of business would be to find a suitable place to store them. Impact wrenches, drills and impact drivers have several moving components which can be damaged due to wear and tear. For those of you storing your items in garages and basements, the high humidity of such areas can also damage the items. You should be able to address rain, heat, moisture and other outside elements that could reduce the lifespan of your device. Power tools and their accompanying components can cause grievous injury and even death if safety precautions are not followed. You should always read the accompanying safety manual to learn specific dos and don’ts related to your device. Always wear personal protective equipment (PPE) to minimize the possibility of damage. When you’re working on construction projects such as baseboards and countertops, your biggest issue should be to get the right measurements. If you cut one side too short or too long, you will have to repeat the process until you get it right. It helps to carve out measurements with a pencil instead of jumping straight to the cutting and gritting. Garage 101 is an online platform for renting and buying hardware tool of every category. If you want to rent or rent out any tool, register yourself at their website.